Don’t let the name of these Psycho Bunny ‘Anglo American’ cufflinks put you off – this is a great tribute to cross-Atlantic co-operation. 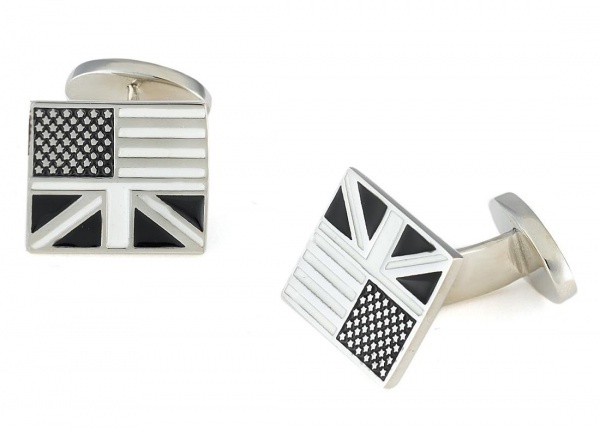 The class of the British, and the working grit of America, these charming cufflinks are available in flat silver, or colored with enamel. Available online now. This entry was posted in Accessories, Cufflinks and tagged Psycho Bunny Anglo American. Bookmark the permalink.